“Guess Who’s Coming to Dinner” is the title of a movie about a young interracial couple, released in December of 1967, some three and a half months before Martin Luther King was murdered. The plot: Joanna “Joey” Drayton, played by Katharine Houghton, wants to marry the black doctor Dr. John Wayde Prentice Jr., played by none other than Sidney Poitier. They are both madly in love. So, the young couple comes home to surprise Joey’s white, liberal parents. The late Katharine Hepburn and Spencer Tracey, who was part of the movie shoot just weeks before his death, did a great job playing the parents. At first they are shocked. Then they start thinking. At the end, after lengthy discussions and deliberations, they agree to the marriage between their white daughter and her black love. Of course, the big question is why the black boyfriend and soon-to-be husband was a famous doctor. Couldn’t he have been a “normal guy”, such as a teacher or waiter? But the flick was, and still is, special anyway. When the author of these lines moved to the United States in 1996, twenty-nine years after that movie was released, and 28 years after the murder of Martin Luther King, he hardly saw any interracial couples. Even in New York City, black families who wanted to rent apartments were still being discriminated. Not just in Texan Death Row cells, the number of black offenders was disproportionately high. Racial profiling was an everyday occurrence, and the first black President was still thirteen years away. 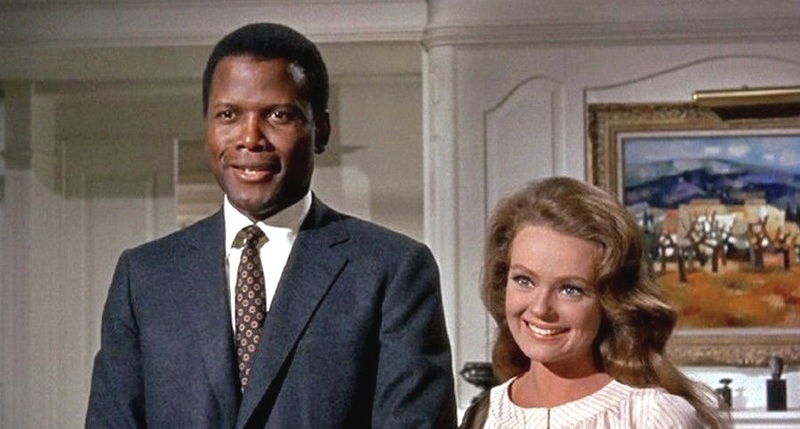 Sidney Poitier and Katharine Houghton in “Guess Who’s Coming to Dinner”. Fifty-one years ago, Martin Luther King traveled to Memphis, Tennessee, in order to take part in a protest against the poor treatment of black sanitation workers. He was shot and killed while standing on a balcony at the Lorraine Motel. James Earl Jones was arrested for the murder at Heathrow Airport in London, two months later. His sentence: 99 years in prison. He died in 1998. King’s murder sparked riots in over 100 U.S. cities. President Lyndon B. Johnson declared a national day of mourning. Much later than that, on November 2nd, 1983, it was President Ronald Reagan who signed the legislation necessary for a federal holiday, in commemoration of Martin Luther King. Since then, it is being marked every third Monday in January. The victim of this racist murder, King, would have been needed in the decades since he was killed. He is needed even today, in 2019. 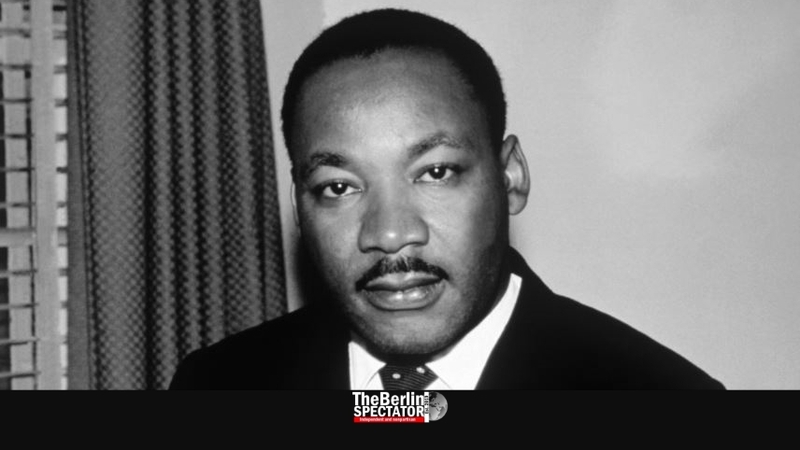 Martin Luther King became famous at age 26, when he led a bus boycott in Alabama. He motivated millions who did not only agree with his stance on equality for all, but also his non-violent, Gandhi-style approach. Today, the United States might be closer to the ‘Dream’ the Nobel Prize winner talked about on August 23rd, 1963 on the National Mall in Washington D.C., compared to back then, in Montgomery and other places. But, all in all, the status is rather disappointing. Police violence against African Americans in some cities recently escalated. The election of the current President has not exactly improved things either. During the end of the 20th century, Black farmers in the U.S. were discriminated against. They did not receive loans their white colleagues got without trouble. A law suit cleaned up that mess later. Critics of the American democracy also say the “winner takes all” structure in almost all states, in the Electoral College, benefits white representation. The fact that white Americans played a significant role in electing the first black President, Barack Obama, is positive though. He received a greater percentage of the white vote than John Kerry did a few years earlier. It might be more subtle today, but racism is there. At the same time, Martin Luther King and his ‘I Have a Dream’ speech continues to inspire many, 51 years after his murder. Martin Luther King was a strong opponent of the Vietnam War as well. The fact that the ratio of black combat troops to white ones was double that for the U.S. population as a whole, according to “Time”, was only part of King’s reasoning. He spoke of a “race war”. “When people criticize Zionists they mean Jews, you are talking antisemitism”, MLK said as well, as if he had foreseen the antisemitic rhetoric spread by the BDS movement, parts of the left in Europe and America, the far right on both continents, and radical Islam. Martin Luther King Jr., born on January 15th, 1929, and murdered on April 4th, 1968, was – and still is – one of the true heroes. There are no words, at least none which would do him justice, except for his own.